World premieres of Holly Gwin's "Thaw" and "Severn Suite"
On the cover of Classical Guitar magazine! "Up and Coming Guitarist of the Year"
Feature in Premier Guitar Magazine! 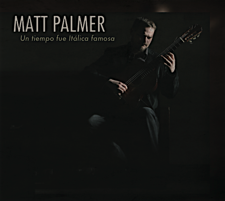 Videos from the DVD "Santa Fe"
After performing at the Guitar Foundation of America Convention, Matt visited Guitar Salon International and played several great guitars. Here he is playing a 2002 Edmund Blochinger. Before his Carnegie Hall debut, Matt toured the D'Addario factory and gave a brief performance and interview. 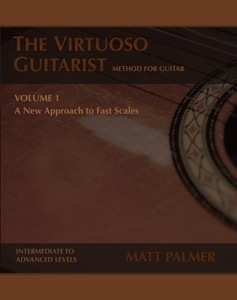 Matt's groundbreaking book, The Virtuoso Guitarist, is now available! Matt’s A-M-I scale method is now available! Matt’s debut CD is here! © copyright 2018 Matt Palmer. All rights reserved.